Internet Society (ISOC) has published a report on the Future of the Internet after researching with various bodies. The report has a global focus not just regions like the EU or US. 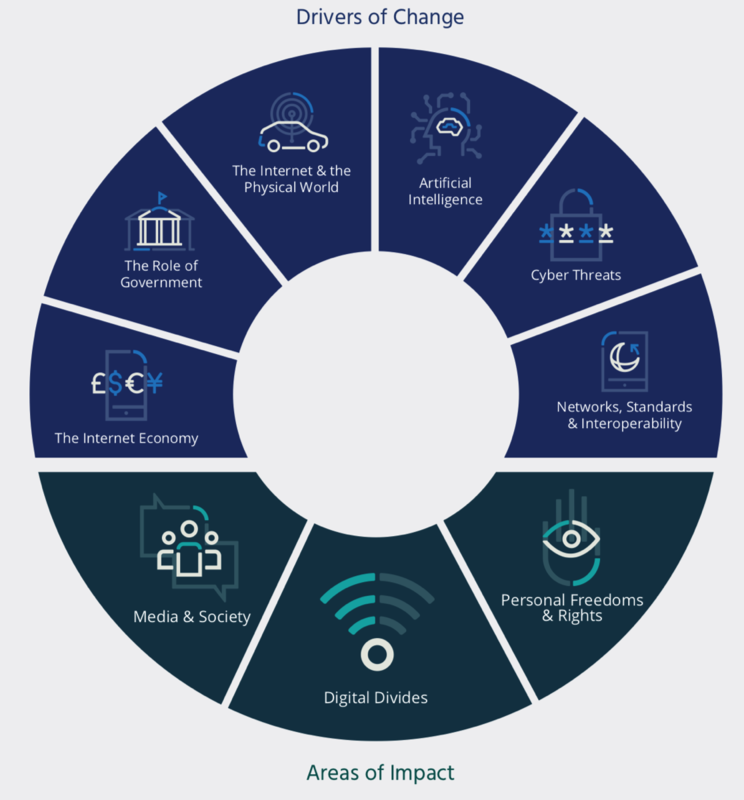 In 2016, the Internet Society launched a project to better understand the forces of change that will shape the Internet over the next ve to seven years. We engaged with a broad community of Members, Internet Society Chapters, experts and partners. We conducted three global surveys and two regional surveys that generated more than 3,000 responses from 160 countries. We also interviewed more than 130 Internet experts and users, and hosted more than 10 roundtables. There are quite a few governments and politicians that will be upset by these.